Ask simple questions as well - like is this the right number? 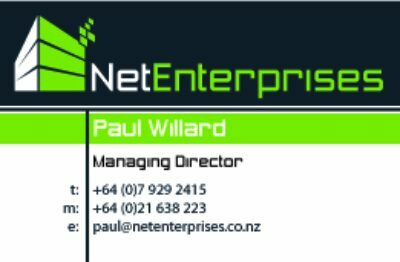 So this week I figured it’s about time my new company ( www.netenterprises.co.nz”} ) .. which actually at this stage means me :) , should get out on the sales trail; I need to drum up some future work. I’ve got a bit going on at the moment, and have some fairly solid future prospects, but I really want to push some growth. I haven’t taken any drawings yet (taken money out), instead hoping to burn through some money to encourage growth. Business cards .. that’s what I need. So I bust out the old adobe products and give the old design muscle a bit of a work out. Not too hard really, I’ve got a fairly solid idea of what I want; I have documented all the CMYK colours that I have used so far, and have a sweet vector version of my “building” - so really this is just going to be a shuffle of content to fit on a business card. Anyway, you can see the result, I’m fairly happy so off to the printers I send them. Yep .. you guessed it !!!@@#$! Just so you know, my P.O. Box number is 221. 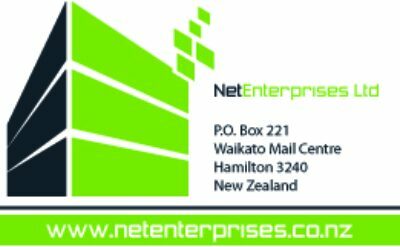 If you are the New Zealand Army and get mail addressed to me (the NZ Army P.O. Box is 212) can you please forward it to me.